If you have recently taken an interest in the idea of purchasing and installing a security system in your home or business, you are making a smart decision. However, you probably want to get the most out of this decision by hiring the best security professional services company in Miami that you can find. However, you will probably need to develop a better understanding of what these companies do and what you should look for when choosing one of these companies for your needs first. Luckily, these tips and this advice should be able to assist you in choosing a security professional services company in Miami that is right for you and your security-related needs at your home or at your commercial business property. What Does a Security Professionals Service Company Do? A security professional service company offers a lot of services for individuals who are interested in purchasing and installing security camera systems in their homes and businesses. For instance, many of these companies offer consulting services in which they help people determine what types of equipment they need. They will also help you purchase the equipment that you need and can install it professionally for you, meaning that they can take care of all of your security-related needs without you having to do anything yourself and without you having to hire several different companies. Why Hire a Security Professional Services Company in Miami for Residential Purposes? Taking care of your home and all of the people and things in it is important. It is impossible for you to do so on your own, however, so you will need a little bit of help. Luckily, talking to someone from a security professional services company in Miami can allow you to get the assistance that you need in keeping your home safe and secure from anyone who might plan on committing a crime or otherwise harming you and your loved ones or property. By working with one of these companies, you can get an assessment of your home’s current security and what needs to be done in order to make it more secure, and you can find out more about purchasing and installing necessary security cameras and other equipment. Should You Hire a Security Professional Services Company in Miami for Commercial Properties? There are a lot of good things about being a business owner, but having the responsibility of keeping your employees and customers safe and protecting your property from various types of crimes can certainly be stressful and incredibly challenging. You shouldn’t have to worry about these things on your own, however; instead, you can hire a security professional services company in Miami to help. By hiring one of these companies, you can get professional advice about how to make your business safe; this can have more advantages than you might think. For instance, you can help ensure that no dangerous incidents happen while you, the employees at your business and your patrons are there, and you can even cut down on smaller — yet still costly — crimes like petty theft and shoplifting or theft by employees who work for you, which is a lot more common than you probably think. Does the Company Offer Residential Advising Services? Although you might think that the process of installing a security system in your home is a simple one, making sure that your home is as secure as possible at all times isn’t as easy as you might think. 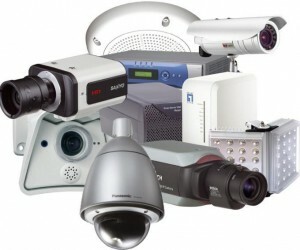 There are a lot of different factors that you have to think about, such as the parts of your home that you would like to keep the safest, and you might need the help of a professional security consultant when it comes to determining the number of surveillance cameras that you need and where these cameras need to be placed. It’s also always good to get a second opinion when it comes to something as important as keeping your home safe from criminals and predators. By talking to someone who really knows what they are doing, you can get tips and advice that can help you choose the equipment that you need in order to make your home as safe as you can. Does it Offer Commercial Advising Services? Even though people often need advising and consulting services when they are planning the security system for their homes, it is almost more important for people to get this type of assistance when they are planning on how to keep their businesses safe and secure. There are a lot of different factors and things to keep in consideration when it comes to securing your commercial business, and you might not be able to do a thorough job on your own if you don’t know much about security systems. A professional from a good security professional services company in Miami, however, will be able to help you out in a major way. One of these consultants will typically take a trip to your commercial building in order to talk to you about your security-related needs. It is typically better for him or her to do so in order to actually physically see your property. This will allow him or her to notice different things about your business and to help you figure out how to keep your company as safe as you possibly can. For instance, he or she can help you determine just how many security cameras you need to purchase in order to keep the inside and outside of your commercial property as safe as possible, and you can also get tips about where to place these cameras. A good consultant can also talk to you about other forms of security that can help you in your specific commercial property. If you want the best of the best, you will have to pay for it to some degree. 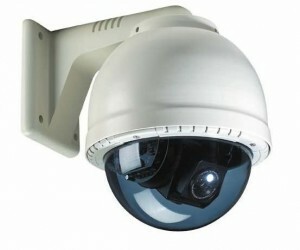 This means that you probably won’t be able to hire the best security professionals company in Miami to assess your home or business, order the security equipment that you need and install it for you for the same price that you could purchase a security camera system from a mass market retail store. However, you will be getting a much better quality product and service. Despite the fact that you can’t expect all of these services to be extremely cheap, you still shouldn’t have to pay too much money for them. Some security companies charge far too much money for their equipment, consulting services and the installation of their equipment, and you shouldn’t get stuck working with one of these companies. Instead, you should look for the best security professional services company in Miami that actually offers reasonable pricing when compared to other businesses in the industry and area but that don’t sacrifice quality because of their reasonable prices. One of the main things that you need to look at when it comes to choosing a security company is the type of equipment that is offered. Not only should you make sure that the company offers the type of equipment that you need, but you should also look at things like the brands that are offered and the types of reviews that they get. You can get online and look at reviews of the equipment that is offered by each security company in order to find out more about the equipment and to see if it gets good reviews. If you find that the equipment that you are looking at has a lot of bad reviews, you might want to consider switching to another company that offers security products that have better online reviews and a better reputation. You also shouldn’t ignore things like warranties and service contracts that can help ensure that your equipment continues working for a while to come and that can help cut down on the amount of money that you will have to shell out in the event that your equipment stops working properly quickly after you purchase it. Does the Company Offer Installation Services? Properly installing security camera systems can be a lot more difficult than you think, and it might not be a task that you will want to take on by yourself. Instead, you should look for a company that will take care of all of the installation for you, especially in commercial buildings or large residential properties. Also, make sure that the company doesn’t charge too much for this installation; you should be able to get a good deal if you purchase your equipment from the company. Does the Security Professional Services Company Offer Good Customer Service? Along with looking for all of these things in a security services company, you should also look for a company that will answer your questions when you need them to and that will always provide you with the prompt and polite customer service that you deserve. Contact us today for a free security consultation.